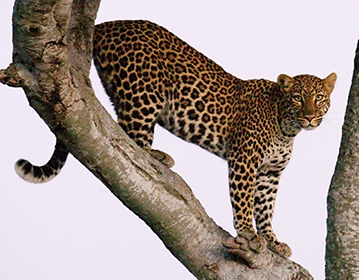 At FACT SAFARIS (Fostering Africa’s Conservation and Traditions), we offer you service with a distinction. As Albert Einstein said ‘Strive not to be a success, but to be of value…this is one of our guiding principles in our endeavors to make your journey in Africa most memorable. With over 30 years of combined experience in this ever changing and dynamic industry, our dedicated team will take care of all your travel requirements from the moment you send your first email inquiry to the moment we bid you farewell. We are driven to ensure that whatever we do never compromises the integrity of the natural resources and our heritage and that all our actions / decisions add value, to enhance & protect them. Our core belief is that the communities who live in or border wildlife areas have key conservation roles and undeniable rights. For this reason, Fact Safaris together with our partners, has gone a notch higher to involve communities neighboring our conservation areas in wealth generation through tourism, in training processes and through the transfer of skills. Through our customer-centric approach, conservation conscious practices and consistency, we offer you a chance to explore some of the top destinations we promote. Enjoy our unbeatable safari packages created just for you. These trips are designed for a maximum of three guests to accommodate your photographic needs in destinations specially handpicked for their excellent photographic opportunities. 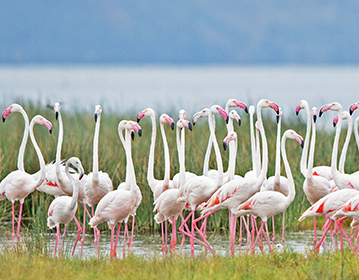 From the world’s biggest bird, the Ostrich, to spectacular flamingos that congregate in their millions at the Lakes of the Great Rift Valley, Kenya holds some remarkable birding sights that you have to see to believe. 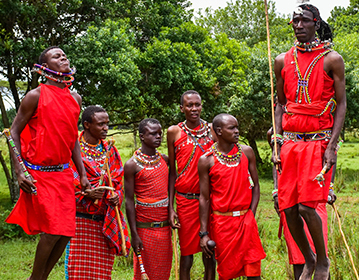 Kenya has one of the most diverse social tapestries on earth. The Kenyan culture unites its people and makes them a strong, proud people, who wish to warmly welcome you to our beautiful country. I cannot say enough good things about Fact Safaris. Our trip that just ended on July 3, 2017, in Kenya from: Nairobi, Amboseli, Samburu, Il Ngwesi, Sabuk, Lake Naivasha, Mara, and Watamu, was no less than fabulous. Our guide, Richard Murage, was professional, brilliant and fun. The array of wildlife and sights we saw are too extensive to describe. The accommodations and food were wonderful. Thanks to Thomas and Richard and the Fact Safari staff for a trip of a lifetime and for becoming lifelong friends. I have travelled to Kenya on several occasions and having used Fact Safaris as our guides for safari and transportation I can only recommend their competent, friendly and informative services. Thank you Fact Safaris you looked after us so well. We had an amazing time! All of the staff were very friendly and helpful. Charles, our driver guide, met all of our expectations. He knew just what areas to go to in order to get the best chance of spotting the wildlife. He got us there safely through the bad weather and rough roads. If the roads had been paved, (which I am aware is being done), it would have been the perfect experience! Thank you so much for providing us with a great experience!